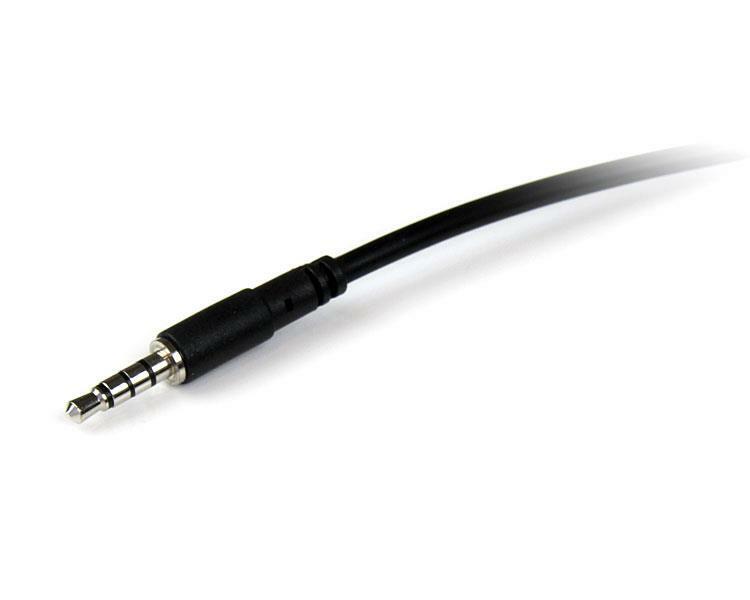 The MUHSMF2M 4-Pole 3.5mm headset extension cable (2m) features a 3.5mm (1/8" TRRS) audio connector on one end and a 3.5mm (1/8" TRRS) audio connector on the other, making it easy to extend the reach between your hands-free headset or headphones, and your iPhone®, mobile phone or laptop computer. 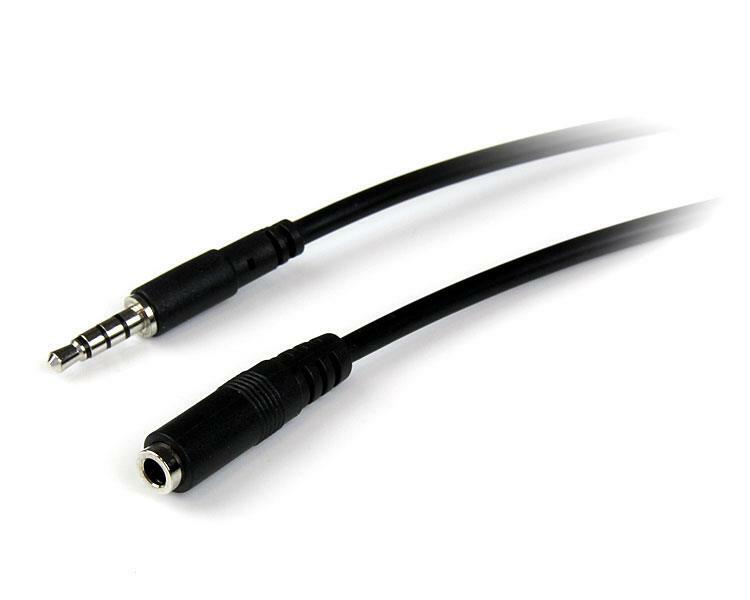 To ensure long-lasting performance, this high quality 3.5mm audio extension cable features molded PVC strain relief at each of the 1/8" TRRS connectors, which prevents the cable termination points from bending at sharp angles, in turn reducing the risk of cable damage. To ensure proper hardware detection, we recommend that the external headset be plugged into the adapter first, before the adapter is connected to the computer or mobile device. Also, in some circumstances, when an extension cable is used with an in-line remote control equipped headset, the remote control functions may not operate properly. This is due to the sensitivity of the remote control circuitry and does not indicate any defect in the cable. Which 4 position pinout standard do your audio cables and devices conform to? 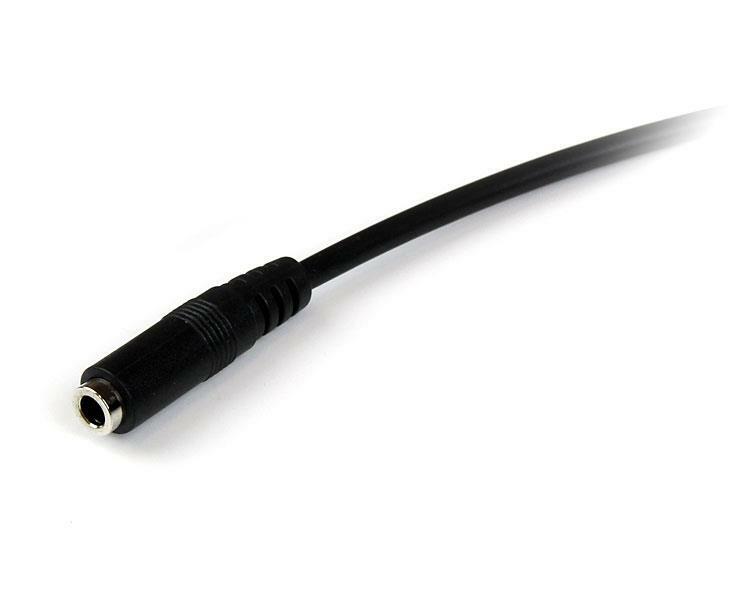 Four-position audio cables, connectors, and adapters come in two different wiring standards: CTIA and OMTP. The four-position standard is more commonly referred to as Tip Ring Ring Sleeve (TRRS). All StarTech.com TRRS audio cables, connectors, and adapters conform to the CTIA standard. Some OMTP audio devices can detect which pinout is being used and switch to the CTIA standard, but not all audio devices can do this.